ACS recommends that women with a high lifetime risk receive annual MRI scans and mammograms. NCCN recommends that women with a high 5-year risk receive an annual mammogram. The USPSTF recommends that women with an increased risk should consider risk-reducing medication. 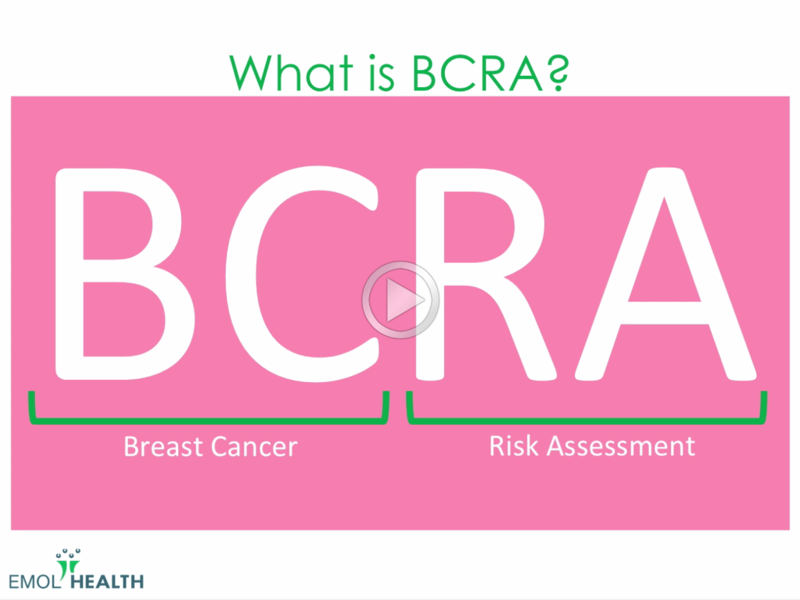 BCRA helps you identify at-risk patients who leading cancer experts recommend receive additional screening and treatment. 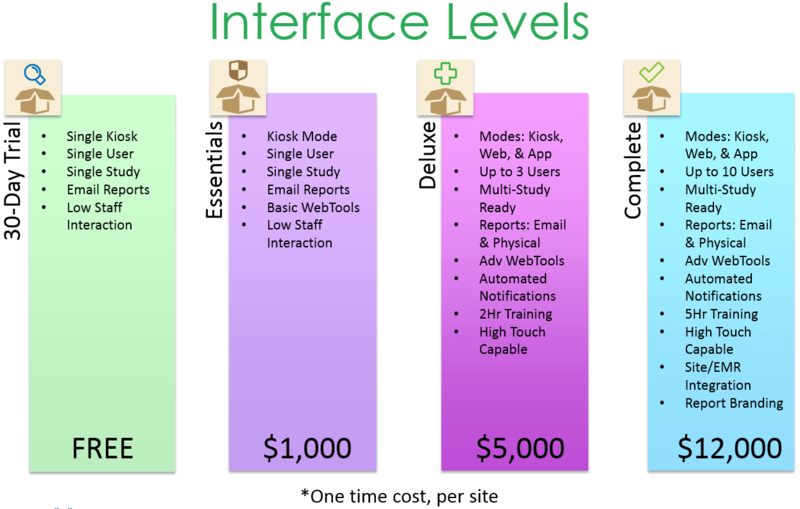 No matter what your size, there's an interface setup level and a monthly service plan to fit BCRA to the needs of your organization. Current practices, that do not perform systematic risk identification could stand to lose over $100,000 in potential annual revenue, according to new guidelines. By identifying high-risk patients and treating them in pursuant to these same accredited guidelines, these practices will mitigate this loss and increase annual revenue by $150,000, offsetting the expense of the BCRA program. Not only is each patient's risk assessment important on an individual basis, but when taken in aggregate, the results give serious insight into trends and performance. You can access your reporting dashboard at any time to see a range of quick overviews or detailed analysis. Women who are at high risk for breast cancer need more screening and preventative treatments. In order to receive the proper care, high-risk patients need to be identified. 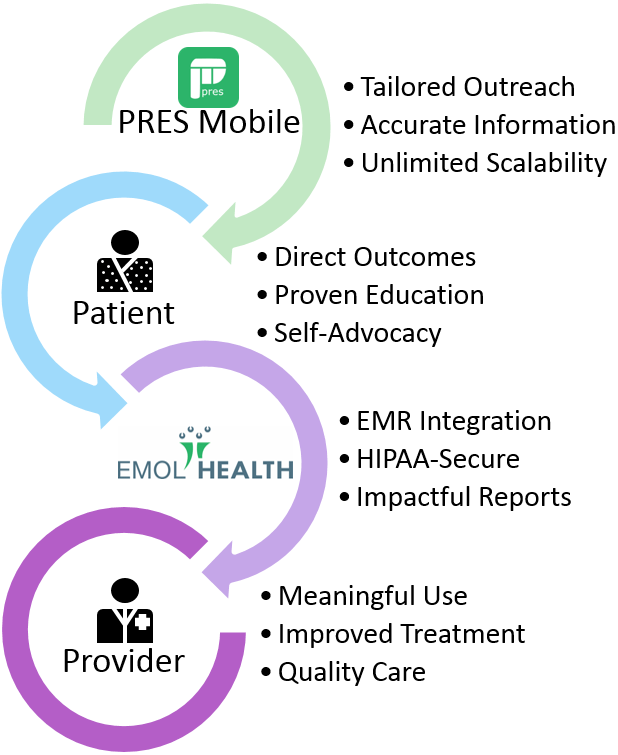 Our BCRA system allows health care providers to identify more high-risk patients in order to provide the extra care those patients require while driving incremental revenue for the practice. The BCRA identifies high-risk women who according to ACS and NCCN need more frequent or intensive screenings for breast cancer. 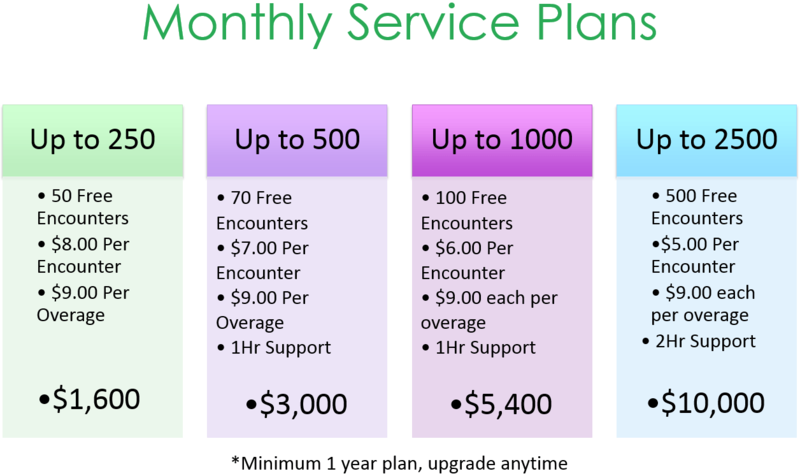 Start with our 30-day free trial, then choose the plan that suits your practice. Provide the best care and increase revenue by adhering to the highest national care standards. 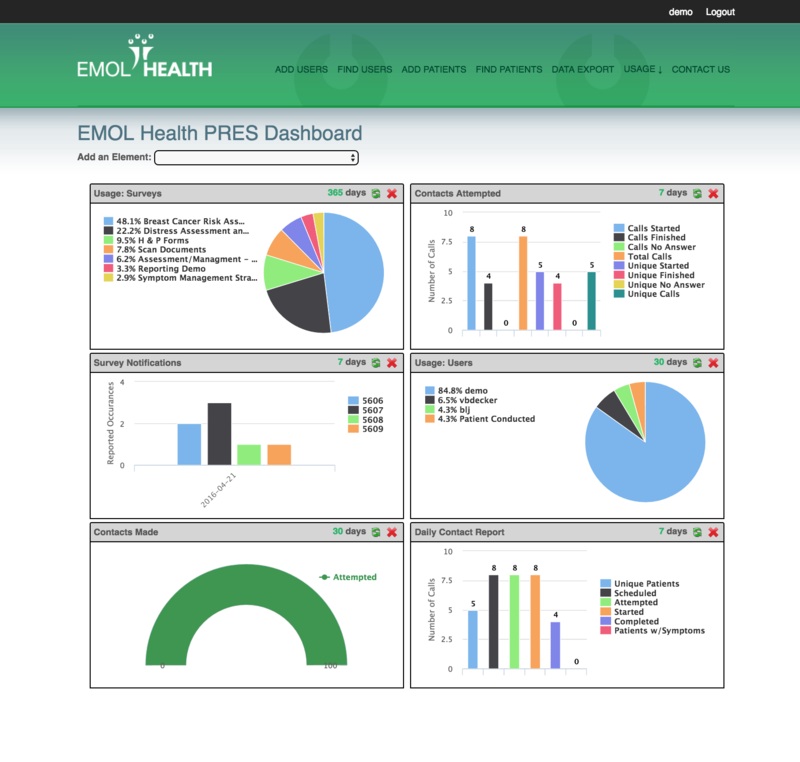 Use dashboard and reporting tools to help make informed decisions about patient care. Better patient care and higher business revenue makes you a more effective health care provider. Copyright © 2016 EMOL Health. All Rights Reserved.